Super Lawyers, a national attorney rating service, recently named Baltimore family law attorney Allyson B. Goldscher a “Rising Star” for the sixth year in a row. The rating is awarded annually to lawyers based on peer input, independent evaluation, and criteria that include legal experience and client results. Practicing solely in the area of family law, Ms. Goldscher is a longtime Baltimore resident who represents individuals and families on matters of divorce, child custody and support, property division and spousal support, and other matters of domestic law. 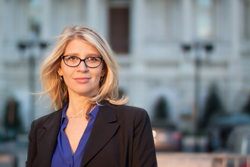 Ms. Goldscher holds several professional certifications, including Court-Appointed Lawyer representing children in custody matters, Court-Designed Mediator in the Maryland Circuit Court referral system, and Qualified Court-Designated Mediator in child custody and access cases. In the community, Ms. Goldscher offers her time as a Volunteer Settlement Officer for the Circuit Court for Baltimore City’s Family Division and the Maryland Volunteer Lawyers Service. Among other endeavors, she also volunteers with Jewish Legal Services. The Rising Star rating is awarded to only 2.5 percent of attorneys nominated as Super Lawyers each year. The honor recognizes exceptional attorneys under the age of 40 who have been in practice ten years or less. A private rating service, Super Lawyers provides legal consumers access to independent ratings of attorneys in more than 70 practice areas who excel over a number of performance metrics. An annual recipient of the Super Lawyers Rising Star rating since 2013, Ms. Goldscher is well known for her straightforward approach and tireless advocacy of her clients and their families who are faced with the unique frustrations and challenges of divorce.